The Applied Biology major focuses on the practical uses of basic biological information within two thematic concentrations: Environmental Biology and Human Biology & Health Sciences. A biological sciences major provides opportunities for students to study the building blocks of life as they take classes in evolution, genetics, microbiology, plant biology and zoology. Acquiring a broad understanding of, and gaining laboratory experience in, biology helps students understand the role of science in our complex world. By studying how hypotheses are developed, experiments are designed, and analytical methods are employed, biological sciences majors develop critical thinking skills that are not only relevant to science, but also to being an engaged citizen of the world. 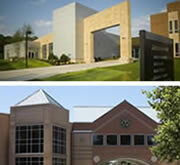 These two concentrations are designed to meet the needs of employers in SW Ohio. Professional biologists with training in Environmental Biology are required by regional employers such as Procter & Gamble, the U.S. Environmental Protection Agency (USEPA), the Cincinnati Zoo, and many environmental consulting firms. Students in the Human Biology & Health Sciences concentration will be ready for employment in biomedical sciences at Q Labs, Children’s Hospital Medical Center, MedPace and other employers involved in healthcare and biotechnology. This concentration also prepares students to attend professional schools in the health sciences. Labor market information from the Ohio Department of Job and Family Services indicates a growing need for individuals with backgrounds and training in the biological sciences. The latest Ohio job growth projections (2022) show an increase of 23.4% for Medical and Clinical Laboratory Technologist, 15.3% for biological Technicians, 9.7% for Soil and Plant Scientists and 9.3% for Environmental Scientists. All of these rates are above the projected Ohio job growth rate of 8.3%. These professions command an average annual salary ranging from $44,000 to $70,000. According to the US Department of Education National Center for Education Statistics, the number of bachelor’s degrees awarded in the biological and biomedical sciences increased 59% between 2002 and 2012. There is an impending crisis for science (STEM) education in the United States based on the increasing demand for math/science teachers without a coinciding increase in students being trained in these fields (NSF-National Science Board 2015). The demand for K-12 science teachers in Ohio is predicted to rise due to the gap between retirements and STEM teachers entering the profession (Fordham Inst.). The two foci of study in the proposed BS in Applied Biology provide pathways for graduates to become science teachers (middle school average salary $42K - $54K; Bureau of Labor Stats), additional licensure requirements are required. The BS in Applied Biology is different than the BS degrees in Biology, Botany, and Zoology offered on the Oxford Campus in that it requires two seminar courses and the earning of two professional certifications to prepare students to be professional biologists, it requires students to master a "tool" (a non-biology minor or certificate that provides the student with additional skills that are useful to professional biologists), and it allows students to complete the BS degree completely on the Miami regional campuses. The Department of Biological Sciences is composed of 13 full-time talented faculty that includes 9 tenured faculty (8 Full Professors and 1 Associate Professor) and one University Distinguished Professor, an assistant professor, two Visiting Assistant Professors, and one part-time instructor and conservatory manager. The majority of our faculty (9) hold joint appointment with their cognate Oxford Department (Biology or Microbiology), conduct research with undergraduate and graduate students, are active scholars that publish peer-reviewed journal articles, book chapters, seek and secure external funding to support their research, and provide service to the department, university, and community. The Applied Biology major is unique in that each and every course will include concrete, real-world examples and exercises that illustrate how working professionals make use of biological information and techniques. The biology faculty at the Regionals offer a wide range of courses that provide a solid background in two primary concentrations, Environmental Biology and Human Biology and Health Sciences. The Applied Biology features 7 new courses in biological sciences, two professional certificates, and a "tool" requirement. Students will earn a 10 hour OSHA (Occupational Safety and Health Administration) certification (or equivalent) in their sophomore year and in the senior seminar course they will earn the 40 hour OSHA - HAZWOPER (Hazardous Waste Operations and Emergency Response) certification (or equivalent) that will prepare students to be professional biologists. The "tool:" requirement is a non-biology minor or certificate that provides the student with additional skills that are useful to professional biologists. 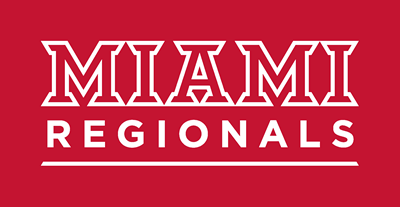 Furthermore, the BS degree with a major in Applied Biology may be completed entirely on the Miami Regional campuses. View the curriculum requirements for Environmental Biology and Human Biology and Health Sciences concentrations. Acquire and apply foundational knowledge, concepts, and theories in biology. Collect, synthesize and critically evaluate information in order to suggest solutions to environmental and human health-related problems. Earn professional certifications in order to increase employment prospects. As the students accomplish these learning outcomes, they will also compete the Global Miami Plan. Together with their focus in Applied Biology, students will become independent critical thinkers with strong written communication skills, ready to integrate and apply their knowledge society's greatest problems.